Malta is a small Island in the Mediterranean. Since I am a diver, Malta was one of my target destinations, but I always made plans to visit it sometime in the future because of its small size. 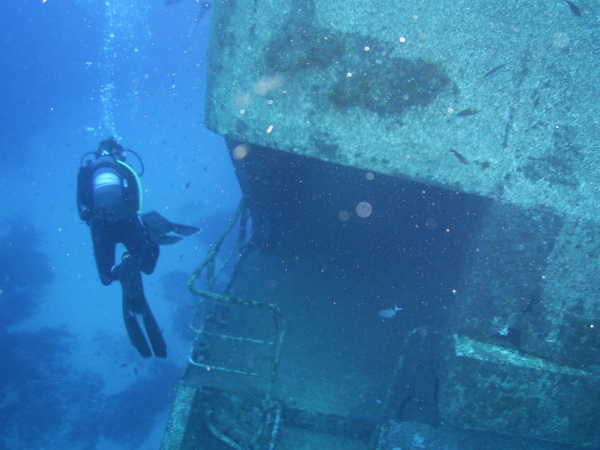 The underwater world of Malta is probably considered the best diving site of the area. With the natural reefs surrounding the island and the many wrecks, others naturally sunk and others on purpose, it’s definitely the number one dive destination in the Mediterranean. 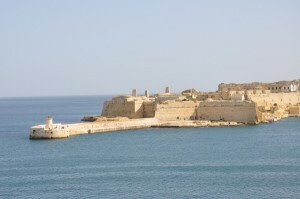 I arrived at the port of Malta on a cold morning in December of 2010, on my way back from Tunisia. After the heat of the Tunisian desert I expected the same there. Anyway, as the boat was approaching the docks, the sight of the walled city impressed me immediately. 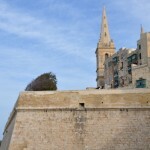 The city of Valetta is kept as it was during the crusades. The knights used this island as a base for their trips to the Middle East and the holy city of Jerusalem. 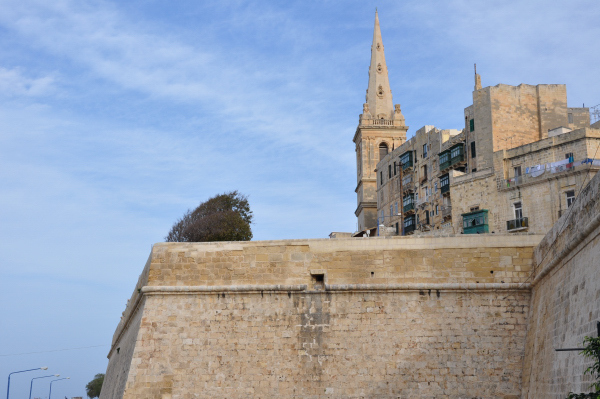 Next to Valetta, the newer settlements of Sliema and St Julian’s, respected the way the knights built their homes. Even today the houses are built from the same stone, so the buildings seem in real harmony with the landscape that surrounds them. 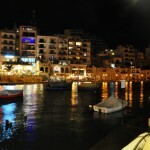 I spent most of my time in Sliema exploring the underwater world. Thanks to Dive Systems, a local dive shop where the staff and the owners made me feel at home, I started diving more and more. 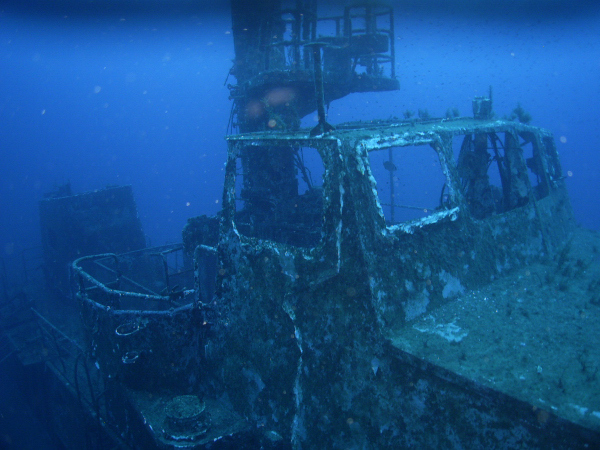 Some of the wrecks that were put down on purpose have been accepted by nature very quickly. 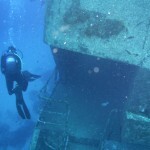 They are now artificial reefs where life grows in a short period of time. 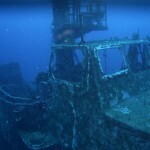 Boats from the World War II, planes and underwater statues have turned wreck diving into a highlight. The locals with their distinct idiom make you feel really at home. Since almost every single empire of the Mediterranean passed by and conquered Malta, the kaleidoscope of the civilizations is obvious all around you. The ancient Phoenician ruins, the Greek and Roman temples, the Arab Medinas and the British way of living make the big island of Malta, with the smaller islands of Gozo and Comino, really worth exploring. You can go back in history with just a trip around the sights. 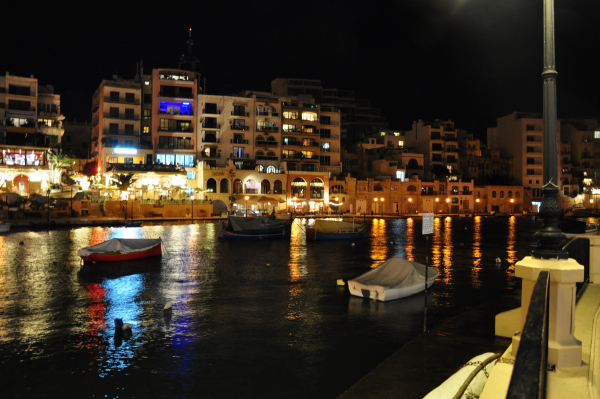 Although Malta is in the Euro zone, the cost of life is cheap compared to the other European countries, making Malta affordable for many people. 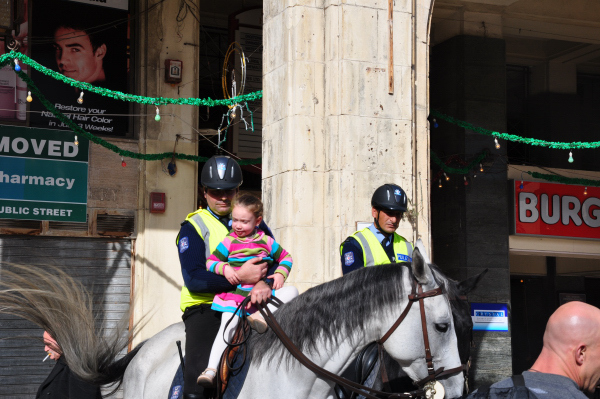 This is the reason why a pretty big international community calls Malta home. 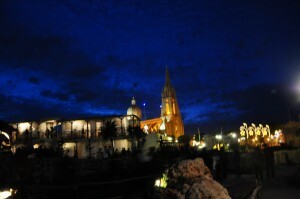 The nightlife is worth mentioning and the St Julian’s party roads are definitely a must see. I had to pay a visit myself since after a long time in the Muslim world where nightlife is a sin, I needed to become a little of a sinner. That’s exactly what you become around those streets where alcohol flows and flirting is the main thing to do. The island is also an international base to learn English as I was told and the student community exists in every aspect of life. I didn’t find one single local who couldn’t speak almost perfect English. Most of the time I was with Simone, an Italian naturalist-activist and Nicholas, a French university graduate student that came to Malta to finish his master. They both were my roommates at the hostel where I was staying. Great guys both of them really. 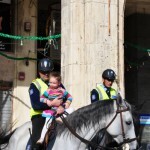 I took two trips to Gozo just to slow down my party pace since Gozo is more like the countryside of Malta, connected to the main island by a 24-hour ferry. I camped at some really amazing overhangs with huge caves, with the sea right underneath me. The sea caves are also considered a highlight of the country. Gozo is a really small place but not less interesting or beautiful than Malta itself. I didn’t manage to visit Comino though because of the sea conditions. See, visiting these places in the winter has its pros and cons. The pros are that you escape from the crowds and that you see the more original aspects of the island. The cons are the weather conditions and the lack of the beach scene. After spending a little more than a week in Malta, I feel like I took in whatever there was to take in but I would like to visit one more time in the summer just to experience the part of Malta that I didn’t get to see.